While my boys and I were visiting my parents last week, I asked my mom if she would make a favorite summer treat of mine. I remember my mom making a lot of frozen treats (she's one of the biggest ice cream fans you'll meet) when we were growing up. 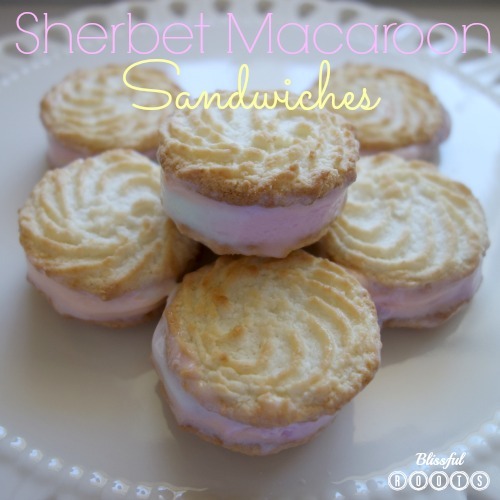 My husband and three boys are all BIG sherbet fans, so I knew these would be a hit. They're always a hit! I love how easy, cool, and refreshing they are. When we made these when I was younger, we always used macaroons. 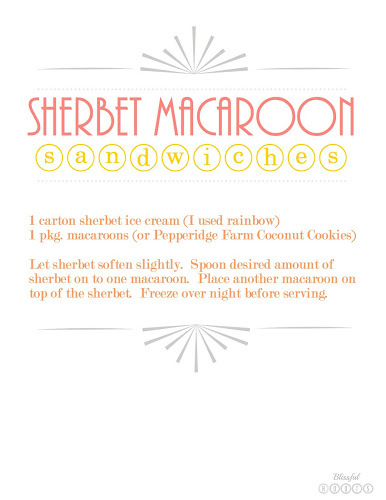 We looked and looked, but plain old macaroons are hard to find. I did find one pack at Walmart for $1. I was a bit worried about how they would taste, so I passed on them. My mom did end up finding these Coconut Cookies from Pepperidge Farm. They are delicious, and they're small. Everything is cuter small, right? I actually like the size better than the large macaroons we used to buy. 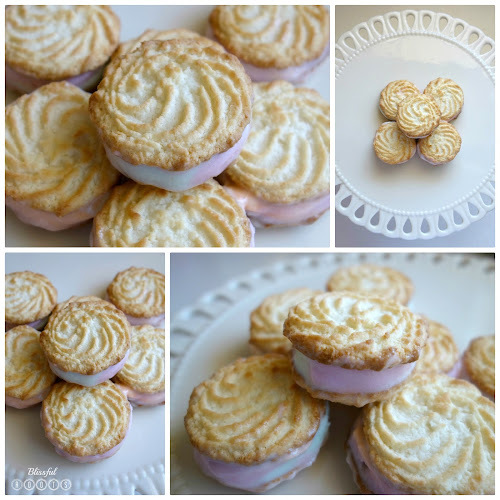 I think I will try the Walmart macaroons (they're much more cost effective) out and see what I think, but for a party or entertaining, these cute Pepperidge Farm cookies are the way to go! These sandwiches look delicious, they sound perfect for the summer! Hey, Maria! They are perfect for this time of year. Anything to stay cool, right? Thanks so much for stopping by and for your comment. Come back anytime! Enjoy your day. Thanks so much for visiting and for the invite, Parrish. I'll head over now. Have a wonderful day. Well- YUM!!!! A must make for sure. Hi, Gina! They really are YUM, and they're so cute! Thank so much for taking the time to visit and comment. Happy Thursday to you! They look so delicious! Looks like a quick and cool summer treat. Featuring these tomorrow, Brooke! Thanks for sharing them! !